Are you resisting change, or are you creating change and need to work with your staff to get them to accept it? Either way it is good to understand resistance to change, where it comes from and what can be done about it. You may have read our contribution about Results being achieved by a balance between Quality of the proposed measure and Acceptance of it by those who are affected. This is where the resistance to change becomes an issue. Changing just for the sake of it is not recommended, you need to have a good reason to change something or you will not be able to overcome people’s resistance to change. People are creatures of habit and generally do not like change all that much. My supermarket just adjusted the store layout. Although I can see how more convenient this is and how much more choice of different products I now have, it took me a while to like this improvement as I had to change my regular route through the store to get my groceries in record time. I’m similarly slow in accepting new windows version. Although they may be a great improvement, I stuck to windows xp until they withdrew all support. When change eventually benefits the people who will be affected, it will be easier to work on their resistance and get them to accept the change faster. 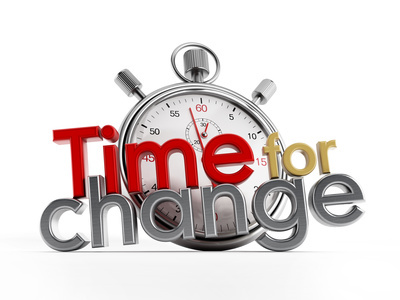 When the change however is great for your department or the company as a whole but not directly beneficial for the ones affected by it, you face a more firm resistance to change. An example would be having to change the layout of a report that gets generated in your department to help other departments making a better use of the report. Your staff won’t be impressed by your arguments about how great this is for other departments and how much more they will like your department. Making the case that this change will directly improve profitability and thus their bonus may also be a stretch. Focus on the Future: Always focus on explaining the new situation, do not dwell on comparison with the old situation. We changed benefits for our employees rather dramatically but instead of making comparisons about what they would loose we made an effort to explain to them what they still had and the reaction was great appreciation as evidenced by our surveys. Be knowledgeable: Know what you are talking about. Without a detailed understanding of what the change means to your staff, you won’t have any credibility to make them accept the change. Be inclusive: Involve your staff in making the change. This may sound a risky strategy but if you have the right parameters in place and have clear goal clarity for why the change is necessary you may be surprised in how much this will help them overcoming resistance to change and how you can get some of your staff helping as champions of the change. Over-communicate with all involved. Make sure no misunderstandings or false conceptions about the change can exist. Take action on every rumor or sign you notice where the change is portrayed in the wrong way. Address the ME-ISSUES first. People get very anxious when their livelyhood is threatened. Reward making the change successful. Do not just take your staff changing their work for granted, reward them, either in a bonus scheme or if it is a smaller change just with a party to celebrate and recognize their work in making the successful change.